Prof. Paul Martin is the Director of the Australian Centre for Agriculture and Law in the School of Law at the University of New England. The Aglaw Centre researches rural governance, particularly of natural resources and the interests of rural (mainly indigenous) people. At the end of 2014 the Centre had three full time scholars, five postdoctoral researchers, and 12 doctoral candidates, with funded research exceeding AUD $6 million under its management. The Centre uses unique multidisciplinary methods to understand the 'real world' dynamics of governance systems. The issues researched are as diverse as biodiversity protection, invasive species, and economic opportunities for indigenous people. Among many research issues we have addressed are environmental financing and tax reform, transboundary agreements for biodiversity protection in Central Asia, soils governance in China and Mongolia, water governance in Australia, and reforms to regulatory 'architecture' and process. Team members have worked on issues in Australia, the United States, Bangladesh, Thailand, Papua New Guinea, Mongolia, China and other jurisdictions. We have a diverse adjunct team and excellent collaborators in many countries. 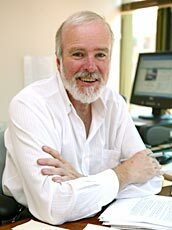 In leading the Centre over the 10 years since it commenced operation, Paul has drawn on his prior career as a corporate lawyer, corporate advisor, venture capitalist and chairman of public and private companies; as well as his leadership of environmental organisations and public policy research. Paul has more than 100 scholarly publications and holds a number of scholarly positions. Recently his roles have included conducting seminars in China, Brazil and the United Kingdom on methodologies for non-doctrinal environmental law research, academic leadership of a joint IUCN World Commission of Environmental Law (WCEL) and Environmental Law Centre project on evaluation of environmental law, and joint Chairmanship of the WCEL Specialist Group on Sustainable Soils and Agricultural Systems. Natural recource management and business, taxation leveraged investment, harvesting and shearing robotics, chemicals, healthcare and high technology. ARC Linkage - "The next generation rural landscape governance: the Australian dimension". RIRDC - Innovations in institutions to improve weed funding, strategy and outcomes. NSW Department of Trade and Investment, Regional Infrastructure and Services (DTIRIS). - Regional innovation; strategic development community based innovation in the northen inland region of NSW. 2011 Rural Industries Research & Development Corporation (RIRDC) Innovations in institutions to improve weed funding, strategy and outcomes. 2010 Australian Research Council (ARC) Linkage Grant Next Generation Natural Resource Governance. 2010 Department of Environment, Water, Heritage, and the Arts Evaluation of the strategic risks and opportunities associated with environmental property rights. 2010 Murray Darling Basin Authority Expert review of the Socio-economic reviews of the Draft Murray Darling Basin Plan. 2009 Department of Sustainability and Environment, Victoria. Developing a business model for landscape conservation. 2008 United Nations Global Environment Foundation Transboundary Law in the High Pamirs. 2007 NSW Government Climate Action Grant, 2nd Generation Biofuels. 2007 Land & Water Australia Developing a Good Regulatory Practice Model for Environmental Regulations Impacting on Farmers. 2006-2010 CRC Irrigation Futures Social, Cultural and Institutional Research Programme leadership, multiple projects. 2006 Land & Water Australia/Australian Farm Institute Developing a Good Regulatory Practice Model for Environmental Regulations Impacting on Farmers. 2005 WWF Australia The Costs and Benefits of a proposed Mandatory Invasive Species Labelling Scheme. 2005 Cooperative Research Centre for Irrigation Futures: Social, Cultural and Institutional Research programme Multi-year, multi-project research funding (additional funding, 2009). 2002 Law Society of NSW National Competition Policy discussion paper. 2002 Land & Water Resources Research and Development Corporation Options for reform in Australian natural resource property rights, land tenure and land management institutions and arrangements. 2000 Land & Water Australia Cartography for Environmental Law. 1993 Education and Training Foundation Commercialisation strategies, skills and techniques. 1992 NSW Law Foundation - Trust and Commercial Relations. Link to UNE's e-Publications for P. Martin's publications list. Link to UNE's e-Publications for P.V. Martin's publications list.